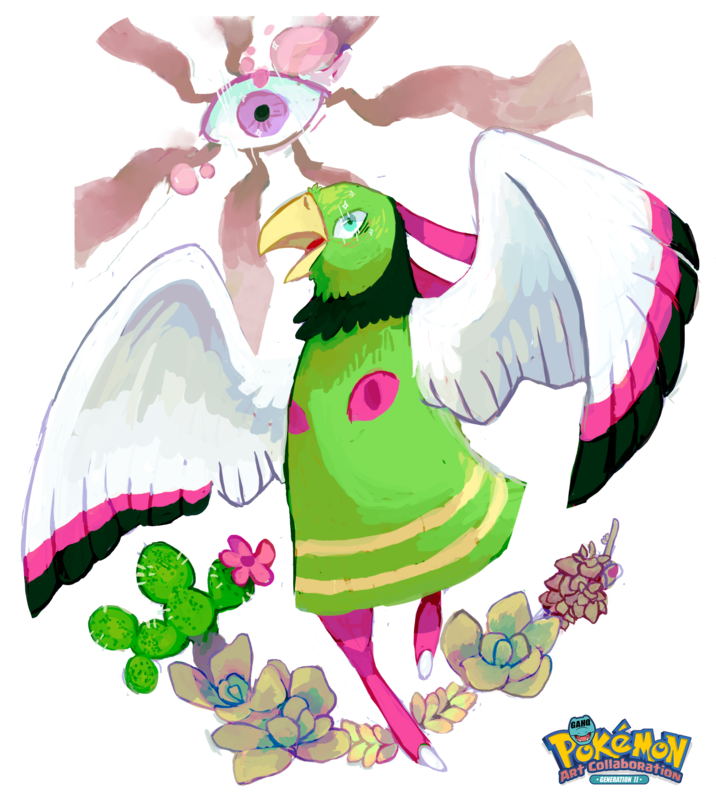 KayVeeDee draws wonderful stuff since years already (Have a look at her gallery here) but her take on Weepinbell was her first and so far only venture into a GA-HQ Project back in 2016. She returned in both 2017 and 2018 with new contributions to our Pokemon Generation based Collaborations! 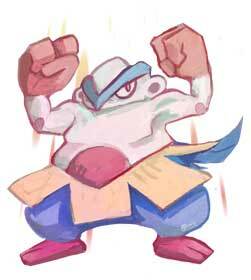 Bulk Up is a status move that debuted in Generation III. It targets the user and boosts its Attack and Defense by one stage each. 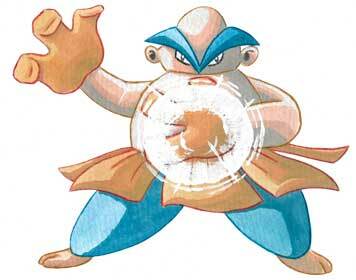 Hariyama can learn the move via TM08 and is our first Pokémon to be illustrated with it. Laura is creating super beautiful art using traditional tools, which gives them their own and pretty unique look I believe. She draws a lot of video game related fan art, especially from the Legend of Zelda and Pokemon series but it took a while until she stumbled upon GA-HQ and participated in our VG Character Collaboration with the classic Ganon from the first Legend of Zelda game. 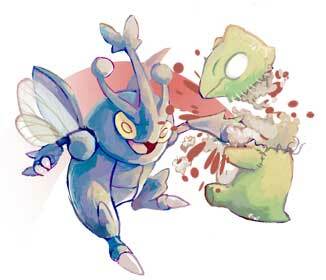 She also drew Ludiculo and Hariyama now for our Pokemon gen III Tribute! I look forward to her next artworks! Have a look at her whole gallery here! 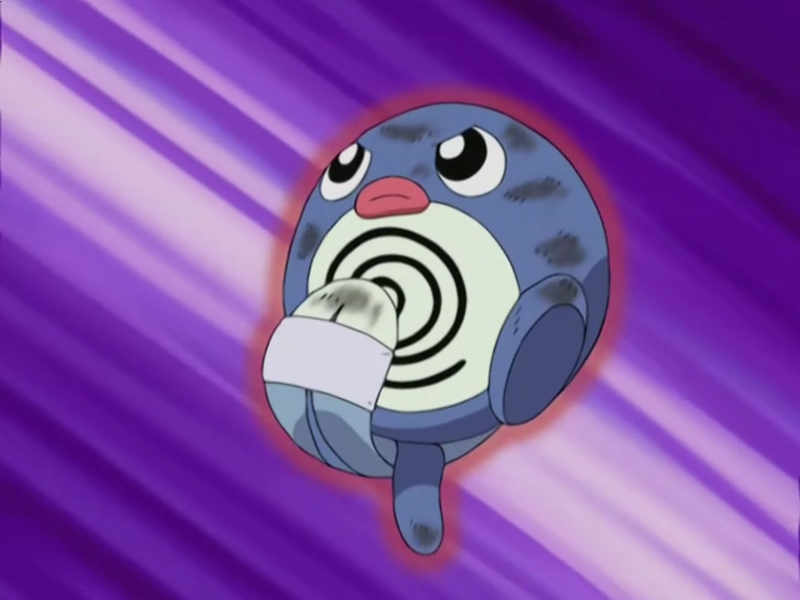 Belly Drum is a Normal-Type move introduced in Generation II. The user of this move maximizes its attack power at the cost of half its own HP. 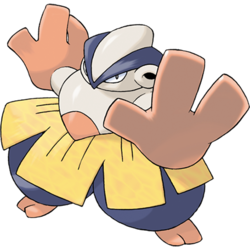 Due to a bug in Generation II, even if the user’s HP is at half already the Attack power can still be raised when generating this move. 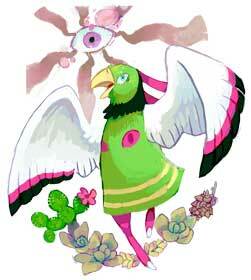 Hariyama can learn the move at level 40 (27 since Generation IV, and 26 since Omega Ruby and Alpha Sapphire). “It loves to toughen up its body above all else. If you hear quaking rumbles in a cave, it is the sound of Makuhita undertaking strenuous training. 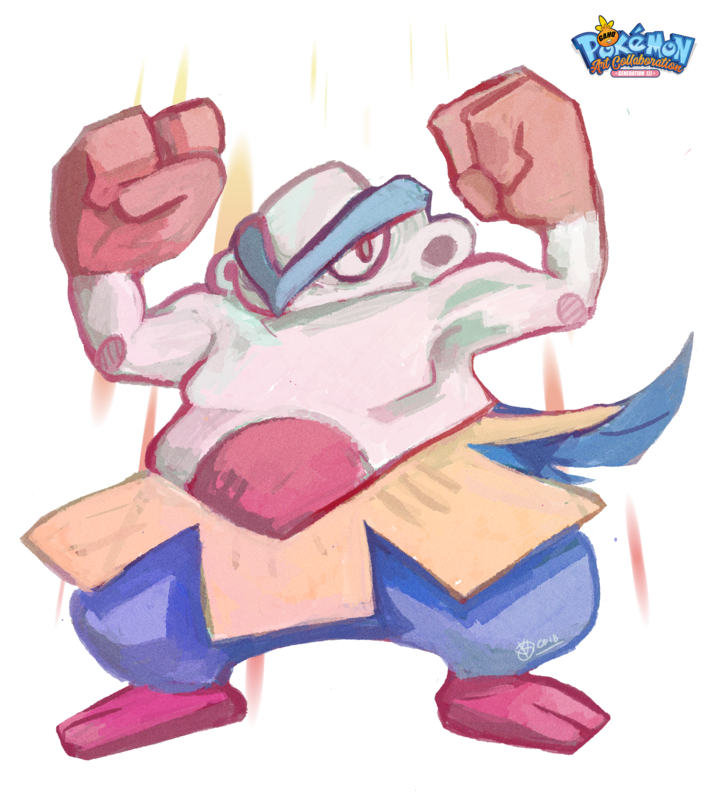 Hariyama is a pure Fighting-type Pokémon introduced in Ruby and Sapphire. 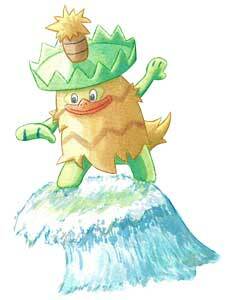 It evolves into Hariyama at level 24 and are often seen in the mountains. They get stronger by going through vigorous training – they do so first thing in the morning, eat and nap in the afternoon, then train more afterward. Its most common method is slamming itself into thick trees, leaving those closest to their nest in a snapped wreck. When in battle, they never give up hope – they can hold back attacks handily, and most times they get knocked down, they get back up and fight again. 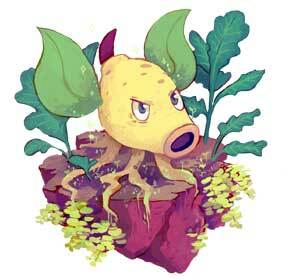 This tenacious spirit allows them to build up more energy for its future evolution. They are really popular in the Alola region, where they sometimes mistake Exeggutor for trees to train on and get thrown far away. 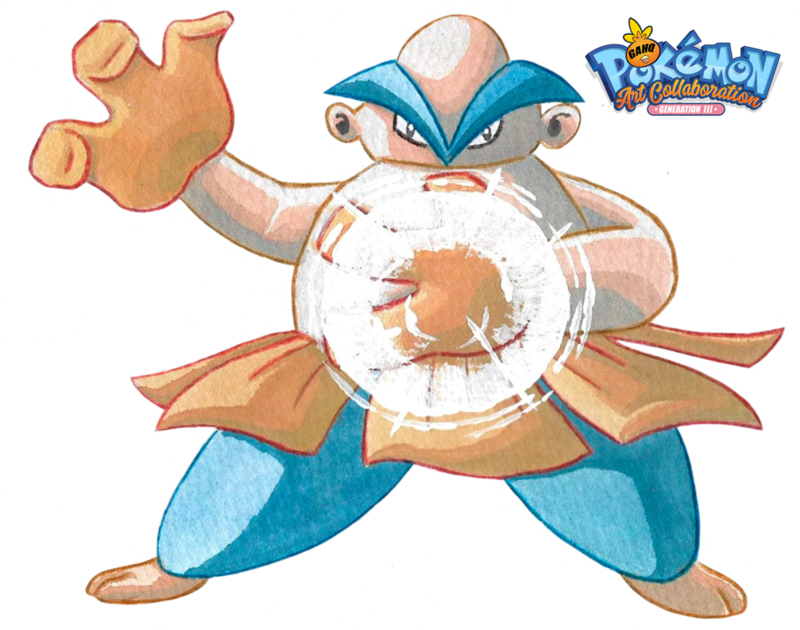 Brawly, the Gym Leader of Dewford Town, owned a Hariyama that evolved from a Makuhita in the middle of a battle with Ash. 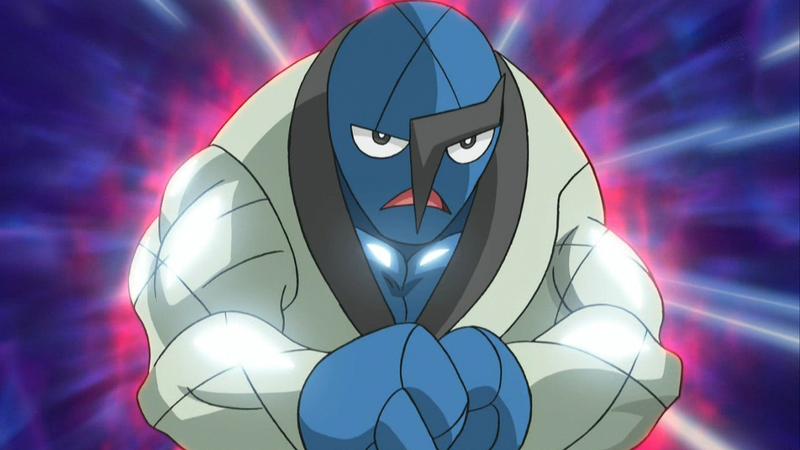 After going through a lot of training on Dewford since his first defeat, Ash returned with more experience and a new Pokémon to take it on for the Knuckle Badge. His newly caught Corphish absorbed a lot of his blows, while Treecko finished it off by focusing on its weak spot in the legs.